Canadian Prime Minister Justin Trudeau. Screengrab from YouTube. Local and international groups have called Canadian Prime Minister Justin Trudeau to address the Canadian garbage that has been illegally shipped to the Philippines last 2013 to 2014 and has been sitting there for five years. EcoWaste Coalition, a network of 140 public groups, last January 30 sent a letter addressed to Trudeau and Canadian Environment Minister Catherine McKenna as an appeal to resolve the issue regarding 103 shipping vans containing unusable garbage from Canada. “The dumping of Canadian wastes in the Philippines is immoral and illegal. We respectfully request that the Canadian government provide a clear and definite date by which it will repatriate its garbage so that this protracted ordeal can finally be promptly ended,” said Aileen Lucero, national coordinator of EcoWaste Coalition in the Philippines, in the letter. Last November 2017, Trudeau visited the Philippines during the 31st ASEAN summit, in which he said that Canada “is working hard to resolve the issue” and that it is “theoretically possible” to return the garbage to where it came from. The letter has been backed up by several other groups. 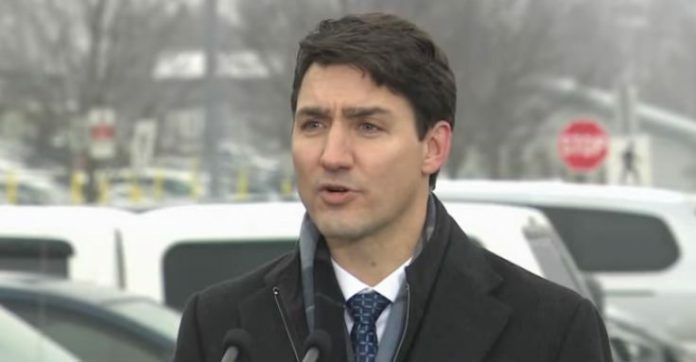 “Prime Minister Trudeau has promised that Canada will act in an environmentally responsible manner and fulfill its obligations under the Basel Convention, which forbids dumping wastes overseas. Words are not enough,” Kathleen Ruff said, director of RightOnCanada, a human rights group. “Environmentalists in Canada and around the world are calling on PM Trudeau to take action now to end this shameful misconduct,” she continued. “We call on you to demonstrate commitment to the Basel Convention and fulfill the actions requested by the EcoWaste Coalition,” they collectively said in the letter.